Information according to Art. 13, 14 and 21 General Data Protection Regulation (GDPR). 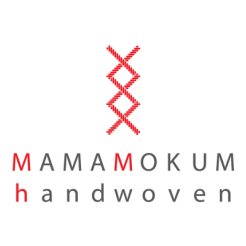 In the following we wish to inform you about the processing of your personal data with regard to Mamamokum Handwoven, and the claims and rights under the Data Protection Regulations. The protection of your data is very important to us and treating it confidentially is a top priority. From May 25 2018, the General Data Protection Regulation will apply throughout the EU. The regulator’s goal is for uniform and strong data protection for all data subjects whose personal data are processed - especially when using Internet services. Which data is processed in detail, and how it is used, depends largely on the service used. (note - A data protection officer must not be appointed due to the provisions of the GDPR and the Federal Data Protection Act). Apart from the logging data that Facebook collects (covered below), we only save your data as part of the billing process for purchases from Mamamokum Handwoven. Name, address and e-mail contact details for the execution and fulfilment of the purchase contract are collected. The processing of your personal data takes place in accordance with the provisions of the GDPR and the Federal Data Protection Act. Data collection and processing is carried out in accordance with Article 6 (1) (b) GDPR. To the extent that consent has been given for the processing of personal data for specific purposes (eg as part of newsletter subscription or via a Google form document), the lawfulness of such processing is given on the basis of the consent. A given consent can be revoked at any time. This also applies to the revocation of declarations of consent issued prior to the validity of the GDPR, ie before 25 May 2018. 3. Who gets your data (recipients, and categories of recipients, of personal data)? Sharing of your data is only at the request of the tax office - for review in tax matters - or in the context of other reviews of Mamamokum Handwoven by authorities. Other data transfers do not take place in principle, your information may only be passed on if legally stipulated provisions dictate or you have consented. In addition, the data may only be processed for the purpose for which it was originally collected (in this case, for the purposes of the contract / invoice), so that it is also passed on to competent authorities only within the scope of this purpose. If there is a change of purpose and the transfer of the data is provided for by law, you will receive information about it, unless information is not provided for by law (eg in criminal investigations, as far as the purpose of the investigation would be jeopardised). Your personal data is only stored for the required or legally prescribed period; Data that is no longer needed will be deleted immediately (unless legal provisions oppose it). Mamamokum Handwoven are subject to various storage and documentation obligations arising from legal requirements (in particular from tax retention periods). • if applicable further data. The Facebook pages are constantly updated. Despite careful processing, data may have changed or errors may have occurred. A liability or guarantee for timeliness or accuracy of the information posted on their website can not be accepted. Mamamokum Handwoven is not responsible for any damage caused by the use of the information or data provided. This also applies to damages that are based on the use of incorrect or incomplete data and information.